Rapidly becoming some of London's most well-known singer/songwriters. 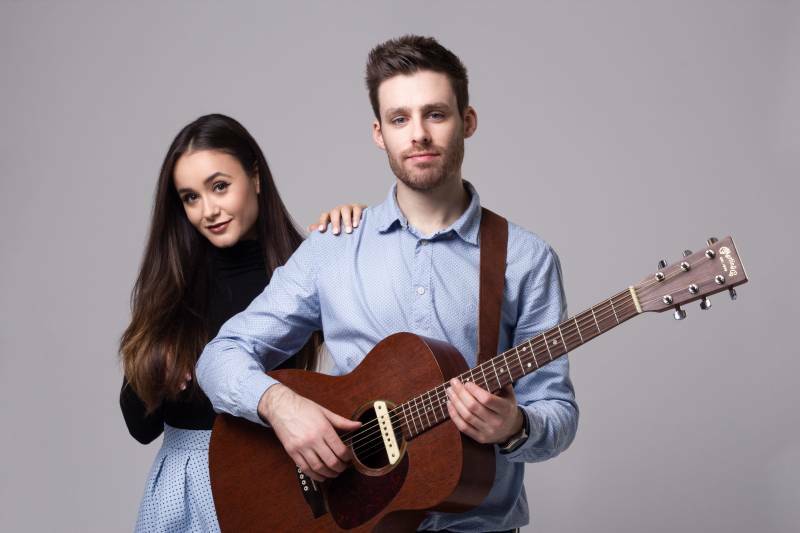 Having played and recorded with several celebrities in the scene including JP Cooper, Conor Maynard and Betsy Blue-English, they have amassed a following of thousands on social media sites Facebook, YouTube, Instagram and Twitter. Providing high-end lighting system with moving lights and top quality PA system sound, they are available to perform both with backing tracks and acoustic. They play and sing in any style including chart & pop, 60's-90's, R&B, Hip hop, motown, funk, soul, rock and more. Their set list includes music of some of the greatest artists of all time, such as Whitney Houston, Tina Turner, Michael Jackson, Aretha Franklin, Michel Bubble, Christina Aguilera, Etta James, Chaka Khan and many more. As well as classics, they perform top chart music hits of artists like Ariana Grande, Bruno Mars, Ed Sheeran, Shawn Mendes, Taylor Swift, Little Mix, Justin Bieber, Beyonce, Rihanna, Drake and many more. Our customers braved the elements to collect their new vehicles at an exclusive Midnight Handover Event and were entertained by the talented duo. Many of our customers used their mobiles to record E&O singing their favourite songs, some had a little dance and a sing a long. I spoke to many of our customers and colleagues on the evening and all commented on how great the pair were, not that I was surprised, I did book them! They provided the perfect ambience to our event and were the consummate professionals I had hoped for. Well, where do I start...these guys are amazing! I spent many, many hours contacting different musicians from a variety of sites but from the first email Ed responded quickly and instantly filled me with confidence. It was a relatively last minute booking but nothing was too much trouble, Ed answered all questions quickly and had all the essential insurance etc which my venue was instant on. They performed our first dance which Oliviya sang beautifully and many guest commented on how well they preformed during that "awkward" transition time after the meal when people started to feel the strain of the day! Really cannot recommend them enough...if your planning a wedding and you need one less this to worry about then leave the music to these guys, super reliable! Thank you to both of you!